These cupcakes were made to bring to a Pot Luck dinner. Size: This was 12 regular sized cupcakes. Filling: No filling in these cupcakes, but when you cut them open the batter has been coloured in rainbow colours! 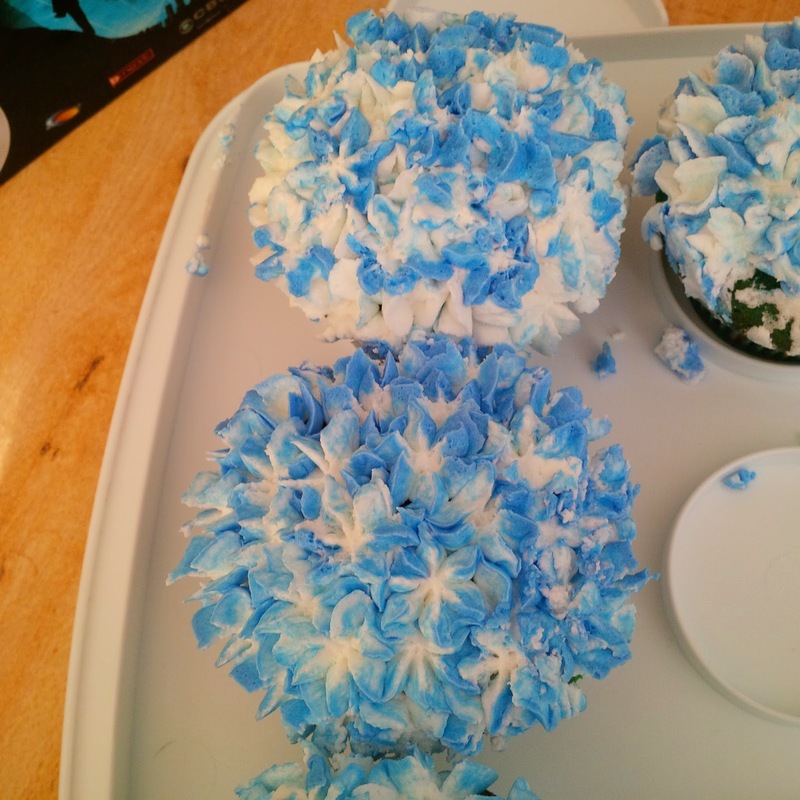 Icing and decorations: These cupcakes were iced with homemade buttercream icing, decorated to look like hydrangeas.